is having/has had a merry Christmas. is having a happy Hanukkah. is having/will have a happy Kwanzaa. has had a happy winter solstice. has had/is having/will have a happy [fill in other holiday]. Finally, for MMGM, I am recommending Howard Wallace, P.I. by Casey Lyall. This book is great! The main characters, Howard and Ivy, have many facets. Howard has a sarcastic, busy personality that hides the fact that he is friendless, while Ivy is happier and more impulsive, often doing things that Howard usually wouldn't. The mystery of who is behind the blackmail can be somewhat easy to predict, but there are several suspects until the actual mastermind is revealed. The book does a good job of making the villain not seem evil by giving her/him a rational (yet still wrong) motive. One nice touch of the book is Howard's list of "Rules of Private Investigation." These rules are often referenced and serve as part of a small conflict. Finally, the plot moves constantly, making the story always interesting. Howard Wallace, P.I. is a great book for everyone! Notice: You can now comment on my blog anonymously! To do so, in the comment field, click the dropdown box that follows "Comment as:" and select "Anonymous." You can also comment with several other types of accounts as well, such as WordPress. One of the best parts of the holidays is new books! (My Christmas list has 18 books on it!) 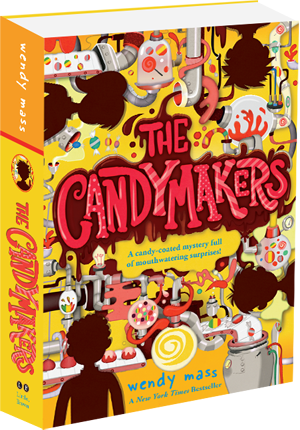 However, to get through this next week, for MMGM, I am recommending The Candymakers by Wendy Mass. Logan, the candymaker's son, who can detect the color of chocolate by feel alone? Philip, the suit-and-tie-wearing boy who's always scribbling in a secret notebook? To start off the winter, I am recommending "The Snow Man" by Wallace Stevens. Here's the link. I hope you enjoy it! 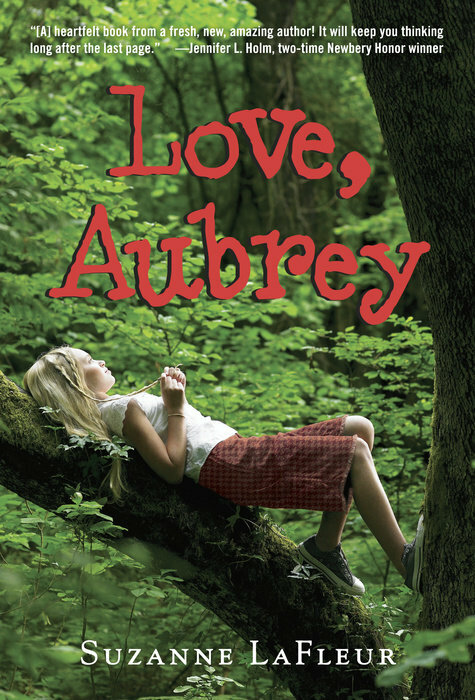 For MMGM, I'm recommending Love, Aubrey by Suzanne LaFleur. I loved this book long before I started this blog, so I'm finally recommending it. The main character, Aubrey, starts the story living alone in her house, since, after her father and sister died in a car crash, her mother left in grief, leaving Aubrey alone. 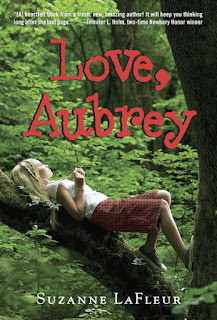 Aubrey then goes to live with her grandmother as she deals with grief and her new home, including making some friends. Aubrey is a likable main character who you sympathize with as she deals with the loss of her father and sister without her mother. The aspect of the story involving Aubrey getting used to living in a different state with her grandmother and going to a different school is also deftly handled. The settings (both the outside world and Aubrey's new home) are enjoyable and allow you to sink into them. Finally, the book's balance of flashbacks allows you to see into Aubrey's head, in a way. Although this book is sad, it is still a great read for anyone. 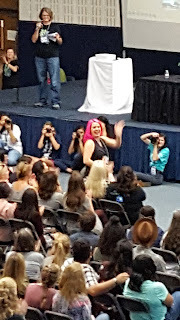 The Secret Keepers giveaway winner! Congratulations! Now, back to cleaning out my bookshelves! Reminder 1: The giveaway of a signed copy of The Secret Keepers ends on Tuesday. Don't miss it! To enter, click here and fill out the form at the bottom of the post. Reminder 2: If you'd like to know about the best TV show designed for children, but perfect for all ages, then click here. For MMGM, I'm recommending Greenglass House by Kate Milford. This book is perfect to curl up with over the holidays! The visitors to the inn have interesting backstories and personalities. Various in-story objects influence Greenglass House, such as when a book in which the characters tell stories inspires storytelling at the inn, creating an opportunity for guests to reveal more about themselves. Another example is when Milo and Meddy are influenced by a board game to create their own personas, of which Milo's helps him become more brave. An often-discussed topic is the wondering of Milo, who was adopted by his parents, about his birth parents, which is deftly handled. 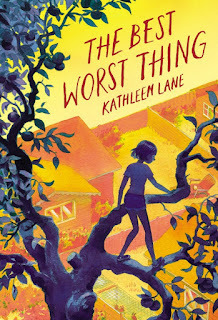 The setting has an interesting past that nicely sets up for the amazing, shocking twist near the end of the book, which just adds to the list of reasons why this book is fabulous! Since today is Thanksgiving, I decided I would talk about something I'm thankful for. However, I'm taking a departure from books to tell you about my favorite children's show of all time: Steven Universe. And if you're reading this thinking, Why would I watch a kids' show when I'm not a kid?, the reason is the same as why you would read a kids' book: because they're great! As is Steven Universe, which has aired on Cartoon Network since 2013 (and which I have watched since shortly before last Thanksgiving). Great characters. Steven Universe has complex characters with varying personalities and flaws. Steven is a happy kid who tries to see the best in people, but he has trouble living up to the legacy of his mother, a Gem named Rose Quartz. Pearl can be sometimes obsessed with perfection and acts as somewhat as a mother figure of Steven, being very protective of him. Amethyst acts sort of like a sister to Steven, having similar interests to him. however, Amethyst is very self-conscious, especially after the events of "Too Far." Garnet does not talk much during the beginning of the series, but more is revealed about her fierce yet wise personality (as well as her origins) later in the show. I could talk more about each character of Steven Universe, but I will just say that even minor characters are more than just plot devices. Complex and entertaining story. The story of Steven Universe is extremely interesting. Garnet, Amethyst, and Pearl are members of the Crystal Gems, a group of Gems dedicated to protecting the Earth. Before the events of the series, Rose Quartz, the leader of the Crystal Gems, fell in love with a human named Greg Universe, a failing singer. Rose Quartz eventually becomes pregnant, but as Gems do not normally reproduce, she cannot exist if Steven does, causing her "death." As the series progresses, more is revealed about the home and history of the Gems, and other Gems come into play. The series has several shocking revelations, and each one is incredibly interesting (and usually foreshadowed). Beautiful animation. Steven Universe's animation is fantastic! Characters are drawn beautifully, locations are meticulously crafted, and the style in which the sky is drawn contrasts nicely with the other imagery. Fabulous score and songs. Steven Universe's score has different instruments and styles for the main characters. For example, Amethyst is often accompanied by drums, Pearl's music involves piano, and Garnet's music involves deep sounds. All of the show's music is beautiful (the piece at the end of "Rose's Scabbard" is amazing), as are the songs. Steven Universe often uses songs in particularly emotional scenes, and not only do the songs accurately portray the emotions, but they are also beautiful and easily get stuck in one's head. Discussion of important topics and themes. Steven Universe often discusses important themes. 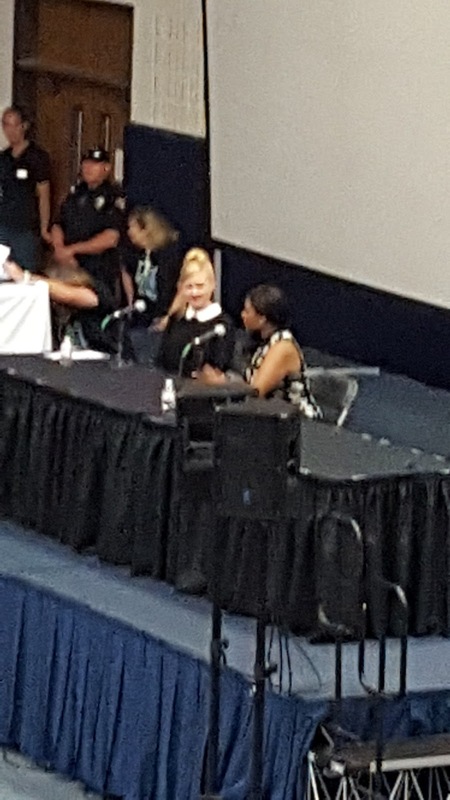 The show has many elements of feminism (many main characters are non-objectified women), and characters are diverse racially. The show also prominently discusses LGBT themes (several main characters are lesbian). Finally, Steven Universe also has several topics discussed on a smaller scale, such as family, accepting yourself, and loss. Steven Universe also has a very calm, relaxing feel, well-crafted foreshadowing (spanning both single episodes and multiple ones), and various other stuff which I'll let you find out for yourself. 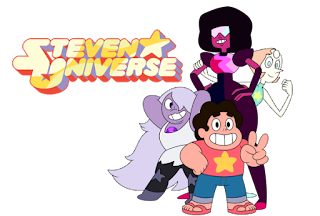 All in all, Steven Universe is a beautiful show that is fantastic for anyone! "Open Book," "Story for Steven," and "Shirt Club" aired in a different order relative to the other episodes. (The intended order is shown on the page linked below, while footnote 1, or nb 1 next to the episodes, shows the order that occurred. "Say Uncle" is a crossover episode with Uncle Grandpa and is non-canon. For a correct list of episodes, see this Wikipedia page. 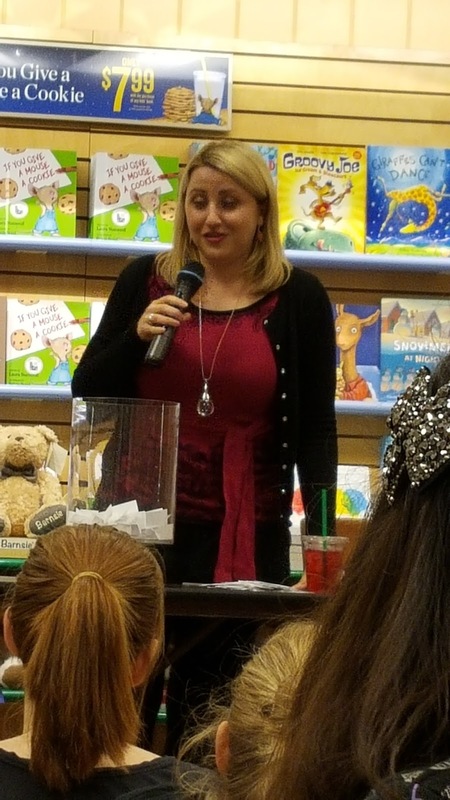 Here are some photos from Shannon Messenger's signing! The signing had 150 people, and I stood in line (and got the signed copy of Lodestar that I'm giving away here)! I love this book! One of the best parts of this book is the plot. It is gripping, with many events and discoveries, some small, and some large. The book also has many funny moments, as well as several emotional ones. The villain's plan is complex and very evil. The villain is also interesting, but he does not seem to have been made with weaknesses specifically designed for the main characters. Speaking of the main characters, they have many different well-developed personalities, such as the main character, Reynie, a kind boy who has a balance between audacity and reason. It says a lot that as I am trying to write this review, I keep getting caught up in reading the book! 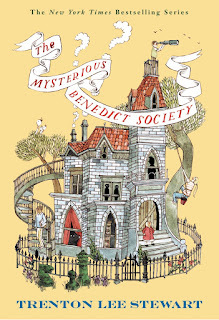 The author of The Mysterious Benedict Society, Trenton Lee Stewart, has recently released a new book called The Secret Keepers. I have a signed copy of this book that I am giving away. To enter, fill out the form below with your email address and a nickname (it does not need to be your real name, or any name, for that matter). If you win the contest, your nickname will be published on my blog. The contest will end at midnight (12:00 AM) on Tuesday, November 29. Please don't leave your email address in the comments. Please use the form below to enter. Again, you do not need to provide your real name on the form. Your email address will be used to contact you and ask for a shipping address to mail the book to. If you don't get a response from me after the deadline, be sure to check your spam inbox. For Poetry Sunday, I am recommending "The Idea of Order at Key West" by Wallace Stevens. Here is the link. I hope you enjoy it! Congratulations! Finally, be looking for my next signed book giveaway, coming soon! P.S. You still have Monday to enter in the giveaway for the signed copy of Lodestar by Shannon Messenger. Click here to enter. 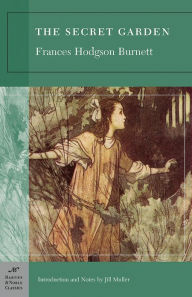 For MMGM, I am recommending an old classic: The Secret Garden by Frances Hodgson Burnett. Today, I'm going to skip the description and make up my own: After her parents died of cholera, rude, grouchy Mary is made to live with her uncle (who is a widower) in his large house known as Misselthwaite Manor. While living there, she gradually becomes happier as she befriends people (such as Martha, a servant in the home, and Dickon, Martha's brother who is 12) and discovers secrets of Misselthwaite Manor, such as the garden of Mary's late aunt, which became locked after Mary's uncle buried the key in grief. This book was first fully published in 1911, and it has aged remarkably well, becoming one of my favorite books of all time! One thing I loved about this book is how Mary's change of personality is handled gradually, making her seem more realistic. She slowly warms up to the other characters and her new life. Another great part of the book is the setting (specifically, the location.) It is well-described and makes you feel as if you were living there yourself. The story also has many characters with varying personalities, ranging from those who have it in them to be kind, such as Dickon, and those who have to find it for themselves, such as Mary. All in all, The Secret Garden is a masterpiece that is just as good now as it was 105 years ago! For Poetry Sunday, I am recommending "Stopping by Woods on a Snowy Evening" by Robert Frost. Here is the link. I hope you enjoy it! This is an interesting MMGM for 2 reasons. 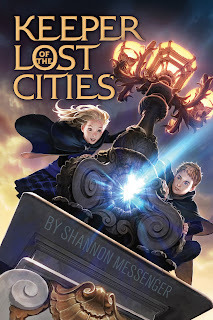 The first is that I am recommending Keeper of the Lost Cities by Shannon Messenger, the author who collects links to the MMGM posts and posts them on her blog, which is how I started getting comments in the first place. The second reason is that I am also giving away a copy of Lodestar, the 5th book in the series, signed by Shannon Messenger! So, anyway, today I am recommending Keeper of the Lost Cities by Shannon Messenger. Firstly, the fact that I have read this book (488 pages in paperback) and its sequels (Lodestar is 676 pages in hardcover) should tell you that this is one of the most fabulous book series I have ever read. That would be correct! The best part of this series is its complexity (which does not mean that it's confusing; it isn't). The world the characters live in is complex, seeming both awesome and incredibly realistic, with every part of life thought about and made as cool as possible. The characters themselves are complex, always seeming like a real person you could meet, having different personalities and staying true to them. 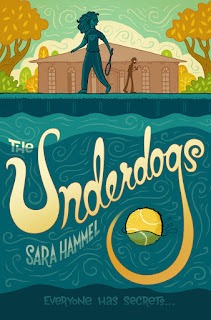 Sophie is brave and still trying to figure out her new life, and Fitz (who is not on the cover) may seem perfect, but you will learn that he isn't in the later books. Not to mention that there are tons of characters not in the book description. Finally, the storyline is complex, full of twists and turns that make you think, "Duh!" while still being shocked. Oh, and, also, the book has just the right balance of hilarity, melancholy, and tension. The 5th book in the series, Lodestar, was released on Tuesday, November 1, and to celebrate, I am giving away a free copy of Lodestar, signed by Shannon Messenger! One random winner will receive the signed copy of Lodestar. The giveaway will end at 12:00 A.M. (midnight) on Monday, November 14, 2016 (a week from now) Tuesday, November 15, 2016. To enter, fill out the Google Form below. Your nickname will be published on Completely Full Bookshelf if you win, so make sure that it can be publicized. Your email address will not be publicized, and it will only be used to ask you for a shipping address to mail the book to you. Update (11/7/2016): Just to clarify, your email addresses will never be shared with anyone, and I will delete them as soon as the contest is over. Update (11/8/2016): The giveaway has been extended one day (to Tuesday, November 15, 2016) to allow for more people to enter! Update (11/20/2016): The giveaway winners have been posted here! For Poetry Sunday, I am recommending "Night Journey" by Theodore Roethke. Here is the link. I hope you enjoy it! P.S. 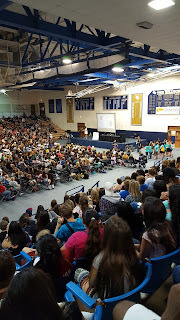 I have blog news, including the Marvelous Middle Grade Monday Post Navigator (link below the blog title)! For information, as well as my Poetry Sunday post, click here. As a special Halloween-themed recommendation, I am recommending Coraline by Neil Gaiman. 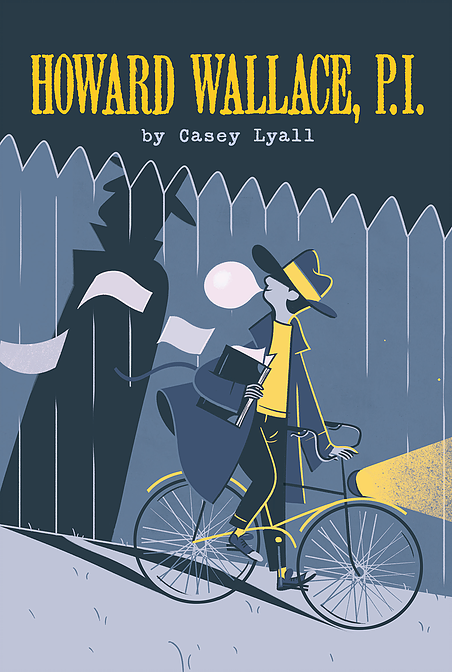 This book is not Halloween-themed, but it is a very spooky read. There are many creepy details, such as when the other mother is eating live beetles. However, this is a really good book! There are many interesting characters, some of whom are different in the world of the other flat, such as a snarky black cat who can talk in the other world. Coraline is an easily relatable character, since she is somewhat disgruntled about life but not mean. One of my favorite parts of the book is at the end, and, about it, I will say this: it is easily the scariest part of the entire book. 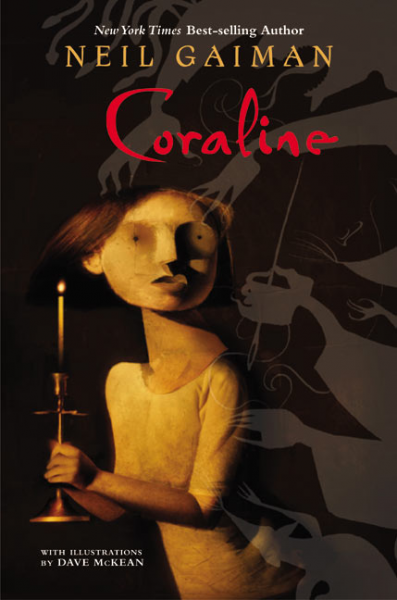 Despite being scary, Coraline is not horrifying or overly upsetting, since otherwise I wouldn't have enjoyed it so much. All in all, this is a great read! Various News (plus Poetry Sunday)! Edit (12/25/2016): A typo has been fixed. 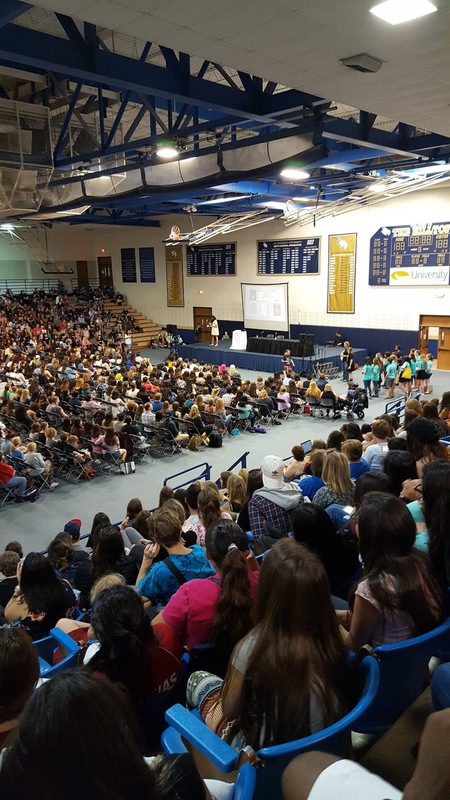 Blog news! First, since Thursday is extremely inconvenient for me to write blog posts, Poetry Thursday is now Poetry Sunday! The first official Poetry Sunday post is for "Come into Animal Presence" by Denise Levertov. Here is the link. In other news, I have started trying to make my blog easier to navigate. Firstly, I have labeled all of my posts, and you can view just one label by clicking on it in the far-right sidebar. Secondly, just below the blog title, there is now a link to the Marvelous Middle Grade Monday Post Navigator, which shows all of my MMGM posts with covers and links. Clicking on anything that has to do with the book (cover, title, or date) will send you to the review. I hope you like these new blog changes! For my belated Poetry Thursday post (I skipped the one before this entirely), I am recommending "Variations On The Word Sleep" by Margaret Atwood. Here is the link. I hope you like it! 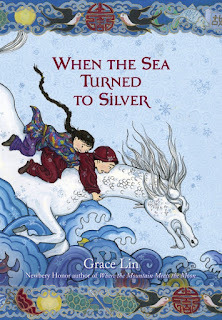 For MMGM, I'm recommending When the Sea Turned to Silver by Grace Lin. I loved this book! This book is similar to its previous two companions in many ways. It features folktales from the story's universe interspersed with the rest of the book. These are interesting in that they're one of the few times when a book temporarily changes off-subject, and I don't think, Get back to the story already! They're as enjoyable as the rest of the story. The book also features many similarities to the past books, such as an abundance of characters, which have many different personalities. They change throughout the book, such as when Pinmei becomes progressively less shy. The language is very poetic and features interesting similes that you wouldn't normally think of. (I started to notice how struck I was by these.) This is one of those rare books that transports you! 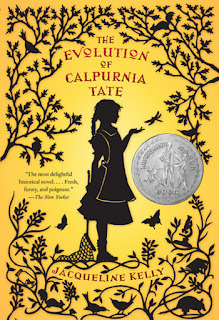 For MMGM, I'm recommending The Evolution of Calpurnia Tate by Jacqueline Kelly. Calpurnia Virginia Tate is eleven years old in 1899 when she wonders why the yellow grasshoppers in her Texas backyard are so much bigger than the green ones.With a little help from her notoriously cantankerous grandfather, an avid naturalist, she figures out that the green grasshoppers are easier to see against the yellow grass, so they are eaten before they can get any larger. As Callie explores the natural world around her, she develops a close relationship with her grandfather, navigates the dangers of living with six brothers, and comes up against just what it means to be a girl at the turn of the century. 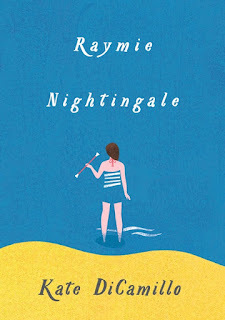 Debut author Jacqueline Kelly deftly brings Callie and her family to life, capturing a year of growing up with unique sensitivity and a wry wit. 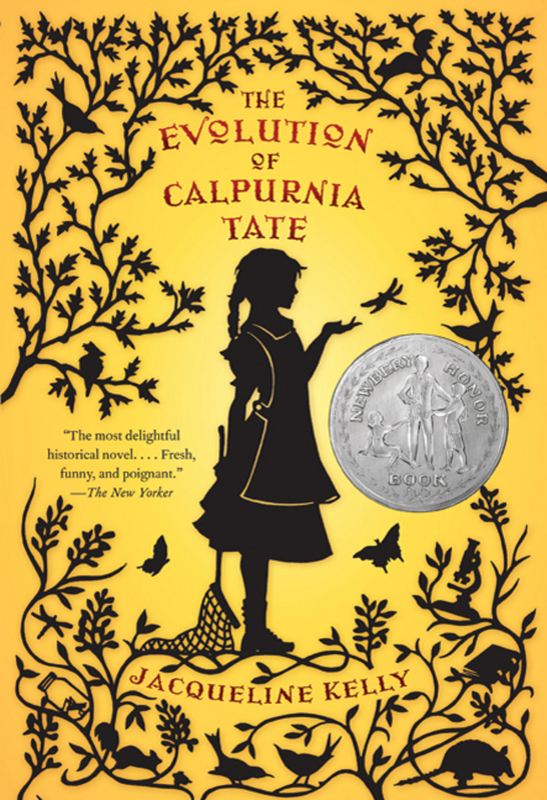 The Evolution of Calpurnia Tate is a 2010 Newbery Honor Book and the winner of the 2010 Bank Street - Josette Frank Award. This title has Common Core connections. I really enjoyed this book! It is one of the few historical novels that manages to still be exciting and not boring. 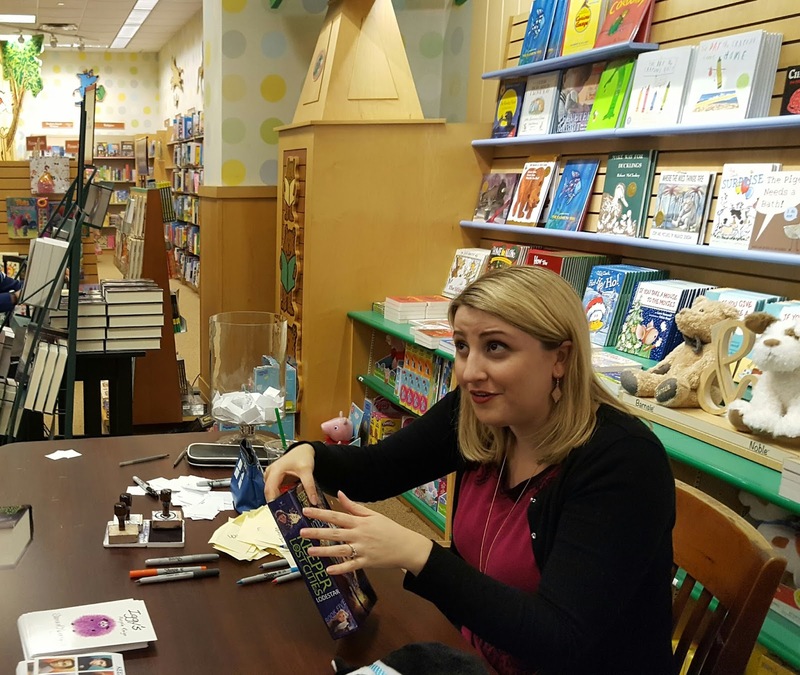 The book also tackles topics of women's roles, since Calpurnia is expected to grow up and become a debutante, while she would rather be a scientist. Calpurnia's relationship with her grandfather is special in that they have bonded strongly, and the relationship is written in a way that would make one wish that they had had such a relationship. The story is composed of many different subplots, which are interesting and vary the plot. 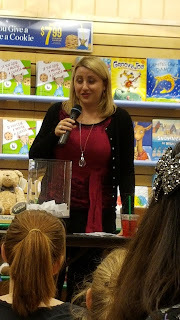 The book was also a Newbery Honor, and for good reason. This is a great read for kids and adults alike! P.S. I have changed the color palette of my blog slightly. I hope you like it! For MMGM, I'm recommending Wishing Day by Lauren Myracle. 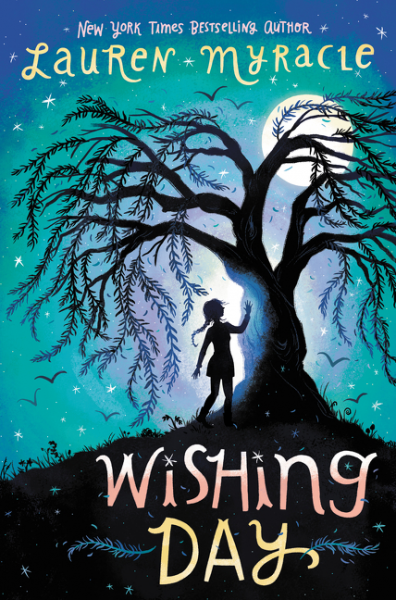 From beloved and bestselling author Lauren Myracle comes the first book in an enchanting trilogy about three sisters, the magic of traditions, and the extraordinary power of hope. 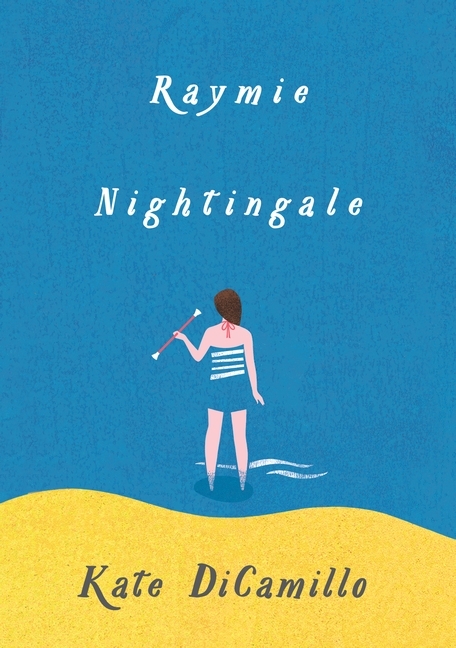 This heartwarming, timeless story is perfect for fans of Rebecca Stead and Ingrid Law. Natasha is the oldest child in a family steeped in magic, though she’s not sure she believes in it. She’s full to bursting with wishes, however. She misses her mother, who disappeared nearly eight long years ago. She has a crush on one of the cutest boys in her class, and she thinks maybe it would be nice if her very first kiss came from him. And amid the chaos of a house full of sisters, aunts, and a father lost in grief, she aches to simply be . . . noticed. At the bookstore, I always look for books with nice covers, and then I read the flap description. If the description is interesting, then I buy it. This book has a fabulous cover, and I'm glad I purchased it. It's great! Firstly, something not mentioned in the summary is that, in the story, Natasha receives mysterious notes, which, in the beginning, compliment her. The mystery of who these notes are from is interspersed throughout the book, and is just one of the many elements in the book. Natasha and her 2 sisters have very different personalities. Natasha is quiet and, despite having a best friend, mainly introverted. Her younger sister, Darya, is popular and somewhat mean, while the youngest sister, Ava, is somewhat naive but very nice. At the end of the book, an interesting twist changes the ending of the book from what is expected to a great surprise, unlike many other books. All in all, Wishing Day is a fabulous read like no other! Firstly, today's Poetry Thursday recommendation is for an extremely old poem: "'Hope' is the thing with feathers" by Emily Dickinson. Here is the link. 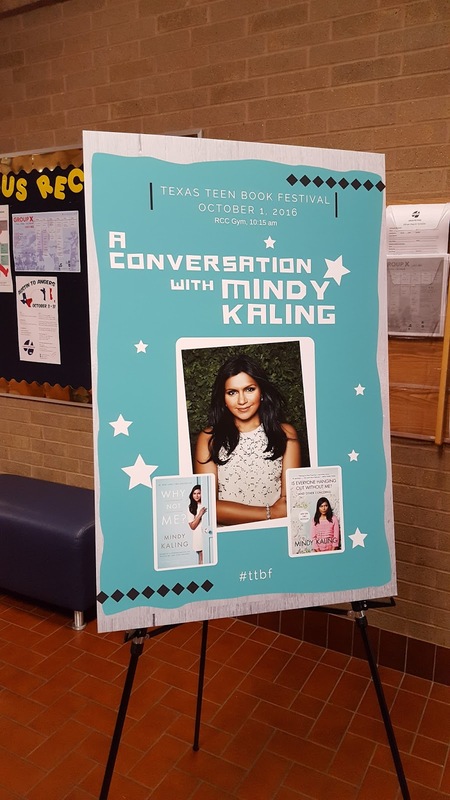 In other news, TEXAS TEEN BOOK FESTIVAL! 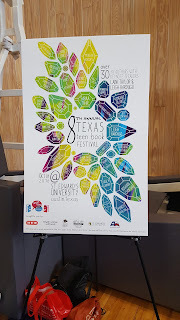 On October 1, I attended the Texas Teen Book Festival in Austin, Texas (I was conveniently returning back from San Antonio that day), so, without further ado, images! 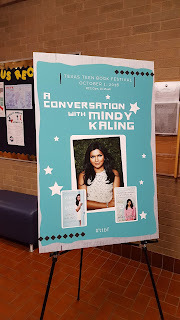 Is Mindy Kaling actually here? Laini Taylor is waving to the crowd! Slightly fuzzy, but nonetheless: Mindy Kaling! So, if you were wondering if it was awesome, it was! I wasn't there for the entire festival, but I still enjoyed it! Edit (October 6, 2016): A formatting error has been fixed. For MMGM, I'm recommending Roller Girl by Victoria Jamieson. 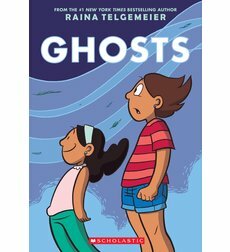 As shown above, this is a graphic novel and the recipient of a Newbery Honor. But rest assured, there's no death! 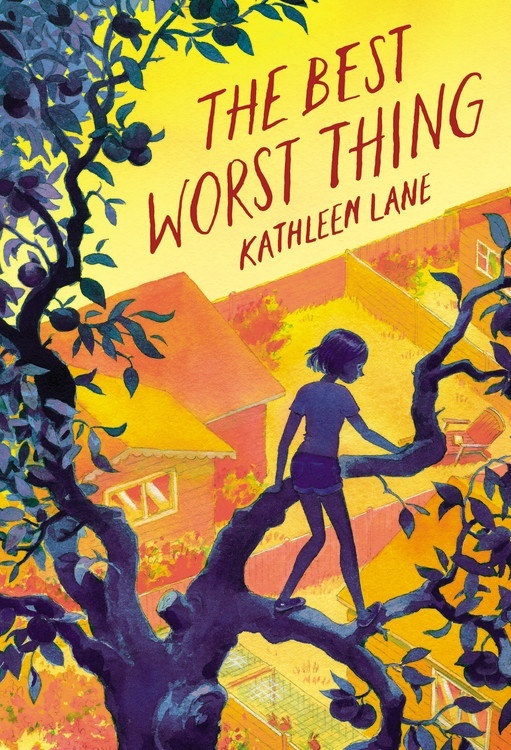 This book is actually very humorous (I love the drawing on page 159 depicting Astrid's hatred of clothes shopping), although it's not all fun and games (hence the Newbery Honor). Astrid and Nicole split apart in the book, due to both differences and character flaws, and the process of how Astrid is sad, makes a new friendship, and struggles are very realistic (and saddening). Astrid's relationship with her mom is also interesting, with Astrid often being mildly upset with her mom but also loving her. I love how the art is both pretty and contributes to the humor and plot. The sport of roller derby (which the author plays) is also interesting to learn about. All in all, Roller Girl is a great book that can be added to the ever-growing list of fabulous graphic novels. My feature today is for Ruby Goldberg's Bright Idea by Anna Humphrey, and illustrated by Vanessa Brantley Newton. This book is absolutely amazing! First of all, Ruby is a great character. She is likable and her interest in inventing is very fun to read about, but she's not without flaws and is easily distracted from everything else in her life. Her perspective on many things, such as her enemy, Dominic, changes a lot throughout the story. The death of Ruby's grandfather's dog, Tomato, is also important in the story, and changes her grandfather, a happy person, into a sad person in a realistic way. This book is a great read for anyone! I've decided to start Poetry Thursdays, in which I will post a link to a poem that I love. Today's poem is "The Summer Day" by Mary Oliver. Click here for the poem. It feels like it's been two weeks since my last post! But I checked and nope, it's only been one. 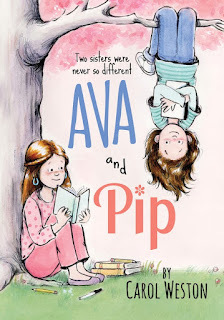 Anyway, for today's MMGM, I'm reviewing Ava and Pip, by Carol Weston. I really enjoyed this book. It is depicted as Ava's diary, which is a nice change from the traditional first-person point of view. There are also two interesting ideas in the story that aren't in the description. The first is that Ava's family loves words (Ava enjoys writing), and the children's names were chosen because they are palindromes, or words that are the same if written backwards. Ava then notices many different palindromes throughout the story, which is a nice touch to the story. The second is that Ava also feels that her parents pay more attention to Pip than to her, which adds another struggle to the two shown in the publisher's description. The story that Ava writes, Sting of the Queen Bee, shows that Ava cares about her sister, and is an interesting way for her to gain a friend. Also, the book has two sequels, Ava and Taco Cat and Ava XOX. The sequels stand up to the high bar set by the first book. The book series has occasional (one or two) slight descriptions of puberty, if you're screening for a younger child. This book is a great read for anyone, young or old. P.S. I will post articles on my blog during the week, but I probably won't have one every day. However, stay tuned! For instance, on Thursday, I have a poetry-themed surprise for you! Also, if you enjoy reading my blog, leave comments, answer the poll (for some reason, you may have to click Vote several times, so check to see if your vote is added), and subscribe via the "Follow by Email" widget, which will deliver new posts to your e-mail! ﻿Edit (October 6, 2016): A formatting error has been fixed. Hi! 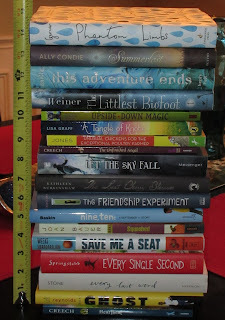 Welcome to my new blog, Completely Full Bookshelf! 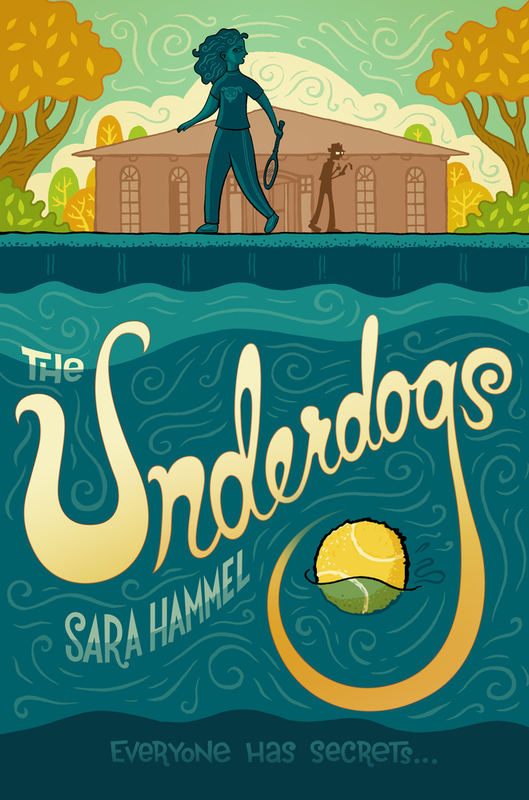 This post is for Marvelous Middle Grade Monday (MMGM), a meme created by middle-grade author Shannon Messenger, author of the Keeper of the Lost Cities series. As a reader of these books and a student who recently completed middle school, I decided to join the MMGM fun with my own blog! 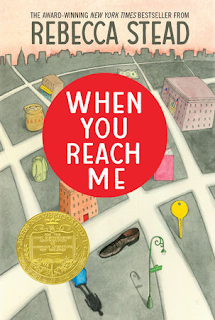 Today, I am reviewing Newbery Medal-winning When You Reach Me, by Rebecca Stead. 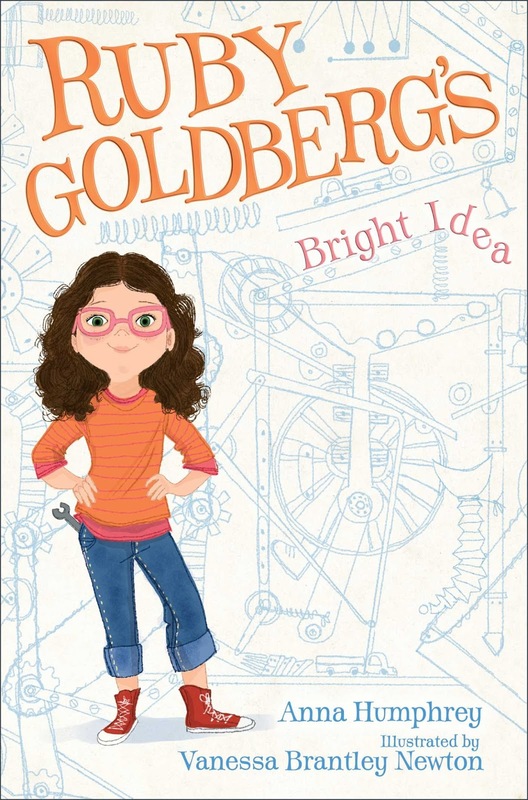 By sixth grade, Miranda and her best friend, Sal, know how to navigate their New York City neighborhood. They know where it’s safe to go, and they know who to avoid. Like the crazy guy on the corner. But things start to unravel. Sal gets punched by a kid on the street for what seems like no reason, and he shuts Miranda out of his life. The apartment key that Miranda’s mom keeps hidden for emergencies is stolen. And then a mysterious note arrives, scrawled on a tiny slip of paper. The notes keep coming, and Miranda slowly realizes that whoever is leaving them knows things no one should know. Each message brings her closer to believing that only she can prevent a tragic death. Until the final note makes her think she’s too late. Firstly, this book is one of my favorites of all time. The setting of New York City in 1979 is incredibly believable and descriptive, and adds depth to the story. The main character, Miranda, is a great character and narrator, and the other characters in the story, such as friends that Miranda makes in the story, are enjoyable and have interesting personalities. The classic A Wrinkle in Time by Madeleine L'Engle is often discussed, and hints at the end resolution of When You Reach Me. Finally, the question of who is sending the notes is an interesting one, and has an amazing answer. All in all, When You Reach Me is a book that everyone, kid or adult, will love and appreciate.